Tom believes that monsters live in his bedroom. His mum tells him there's no such thing. Is she right? Tom doesn't like going to sleep in his room. He can hear scary noises and see creepy shadows as they lurk in the wardrobe. 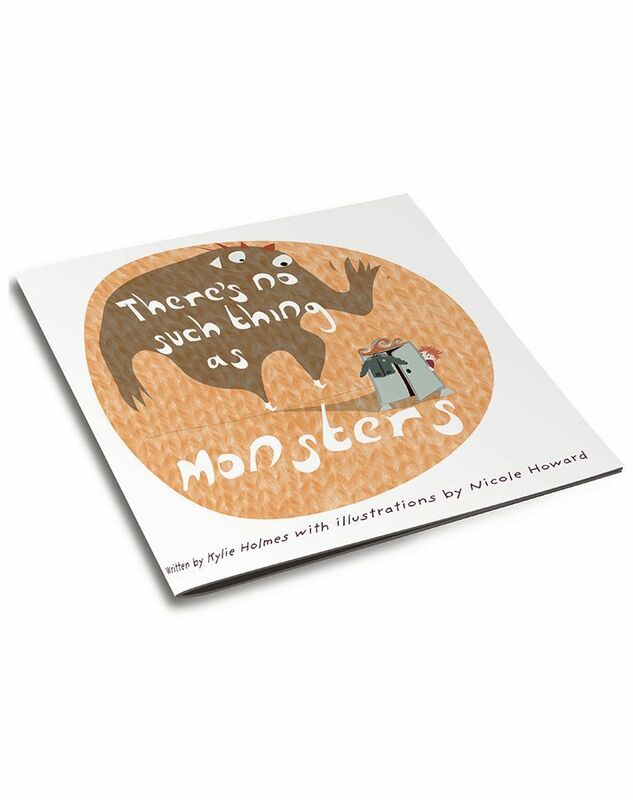 His mum tells him there's no such thing as monsters…or is there? Kylie Holmes was born in Bedford on 31 October 1970 where she grew up with her parents, younger sister and brother. Kylie always loved writing and as a child she enjoyed making up stories. This is when her obsession with books began. Dyslexia has proven to be a challenge to Kylie, but then so did learning how to drive a car! Her favourite jobs include inspiring children and adults to discover their writing passions and being a mum to her four children Jade, Amba, Leo and Ruby. When Kylie is not writing, you can find her walking her Border Collies Max and Benny around Cambridgeshire, or sampling different types of ice cream and cheesecake. Download a copy of Kylie's Advance Information sheet here.